God of War's Massive Midgard Serpent "Pushes the Technology"
God of War developers talk about the massive serpent Jörmungandr and the dwarven duo Brokkr and Sindri, who will serve at the game's shopkeepers. 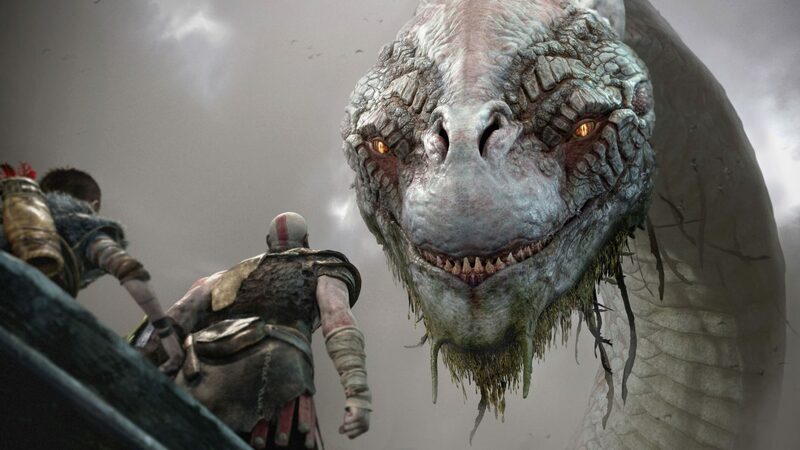 During a recent official podcast, God of War Principal Character Artist Rafael Grassetti talked about Jörmungandr, the Midgard Serpent from Norse mythology who was heavily featured in the gameplay reveal at E3. From the beginning the team knew it would be included in the game, since it’s “such a big character” in Norse Mythology. It’s also huge in size in the game, and pushes the technology because players will interact with it in “a lot of different ways.” We’ll get very close and very far. Interestingly, Grassetti refers to Jörmungandr as “she,” possibly hinting that she’ll be female in the game. Update: Grassetti himself clarified on Twitter that Jörmungandr is male. He said “she” due to early designs that had the serpent as female. Its a he. I did some early designs as a she so im still used to that but I said it wrong. How to make a snake talk was also “a big challenge.” There were a lot of discussions about the hydra from previous games of the series. 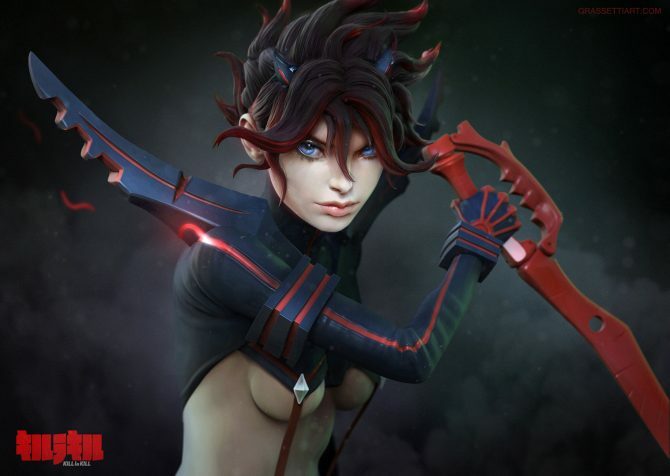 It served as inspiration but the team also wanted to do something different. Valazquez feels that it’s cool to see the hero interact with someone without having to kill them. 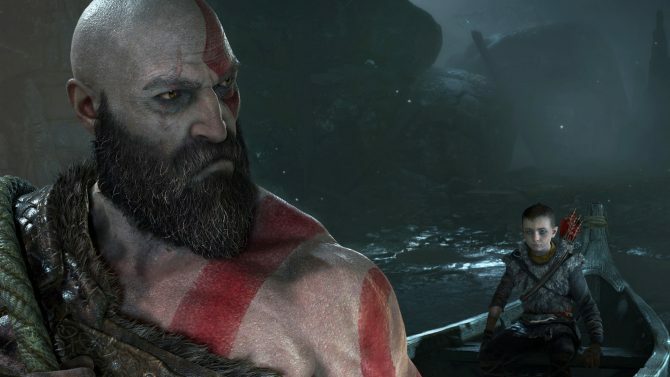 He feels that the way Kratos and Atreus connect with them is pretty cool, and he hopes that the fans will enjoy it. If you want to learn more about the game , you can watch a trailer from earlier today showcasing the Fire Troll, and one from yesterday showcasing the Draugr, some more recent artwork, a second batch, a third one, and a fourth gallery. 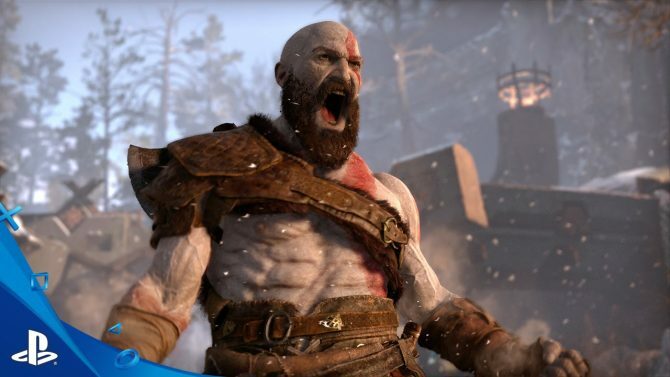 God of War will finally release in early 2018 exclusively for PS4. 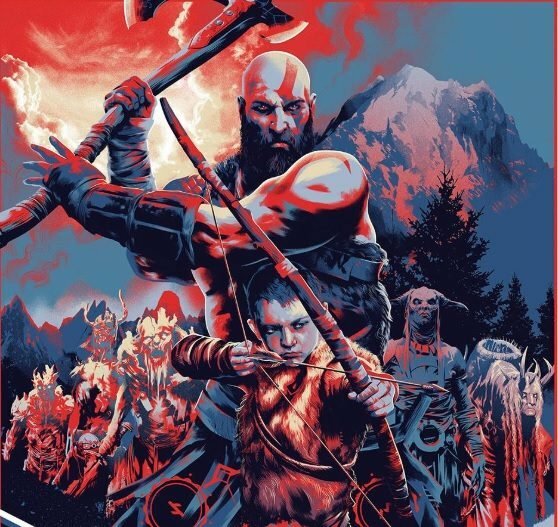 Sony Santa Monica shares a trailer showcasing beautiful artwork of God of War, alongside a lot of information on the Draugr and other creatures.